The Oct. 1 confrontation, some of which was captured on video, has been picked up nationwide, including by CNN, Buzzfeed, the Washington Post, and even internationally by the UK-based DailyMail. As her encounter with the two women unfolded, Trent stepped in. Trent declined to be interviewed directly for this article, saying she’s been overwhelmed with the response her intervention has received. She did offer a few comments to the Post Independent via Facebook message. “You don’t harass people,” she can be heard saying in the video taken by one of the women involved, Fabiola Velasquez, who posted it to Facebook. The video went viral locally on the Rifle Connected Facebook page, and has since been picked up by dozens of news organizations. The original video post has since had 1.8 million views, has 18,978 shares, and has generated 3,800 comments. One of the women said that she began to walk away because she was afraid she was going to hurt her, and Dwire began to follow her and yelled at her for speaking Spanish. “You are amazing. Thank you for standing up for what’s right,” wrote Ana ViCa. Following an interaction with Rifle Police officers outside the store, Dwire was briefly handcuffed and told an officer that she told the two women to speak English and be “American,” and asked the officer what was wrong with the country when people don’t have the respect to speak English, states the affidavit. Dwire was arrested for bias motivated harassment, a class one misdemeanor, and was released later that evening. 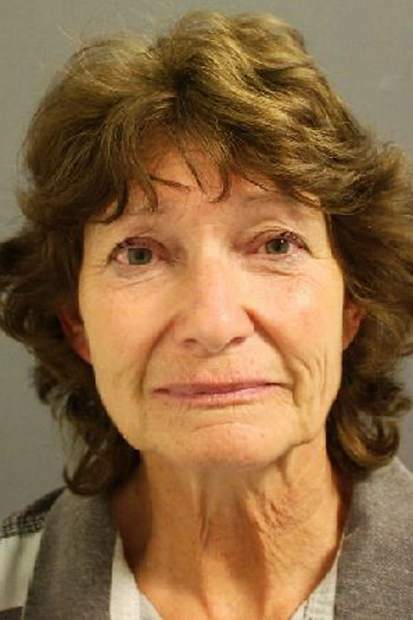 She is scheduled to appear in Garfield County Court Nov. 5.